Most folks hear New York and automatically think bright lights and big city. But, the fact of the matter is that there's alot more to New York north of the iconic Big Apple. North and west of the big city you can find other iconic places such as Niagara Falls, the Thousand Islands, the Adirondacks, Syracuse basketball, Cooperstown and more. Along with a different set of scenery, there's also a unique combination of music styles to be heard up here. Although we're not urban, we love hip hop. Country and classic rock are also big up here near the Canadian border. Sprinkle in some top 40 music and you'll hear the wide range of tunes that you can regularly hear people partying to up here. 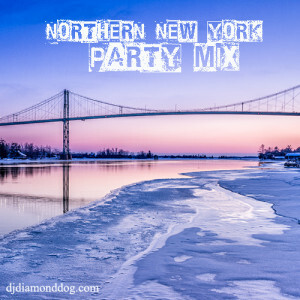 With that being said, I give you the Northern NY Party Mix... a 1 hour mix of some classic party music that I've spun up here in the region. You'll hear a little bit of everything in here and the energy will keep you moving, even if you're feeling tired. The full track listing is available below. If you're enjoying the mix, you can download it for local play on your ipod.. If you're really old school and would like a hard copy (AKA: a cd version with separate tracks), just DM me at my facebook page and I will be happy to send you a burned copy for $7. So, whether you're from Northern NY or not, I think that you will still enjoy this combination of tracks in one mix. Thanks for your support and I look forward to dropping more mixes soon!! And remember, you can find plenty more of my mixes at djdiamonddog.com!! In Da Club originally dropped in 2003 and has been a staple sound in any party spot ever since. 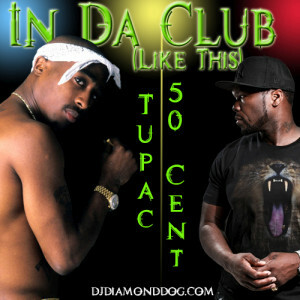 It was 50's lead single from his debut studio album, Get Rich Or Die Tryin'. The song enjoyed massive success, peaking all the way up (Fat Joe voice) at number one on the Billboard Hot 100 chart. It was Fif's first number one hit on that chart. Fast forward 15 years to 2018. In Da Club, which is still a signature track from 50, recieves a remix from yours truly, and it's titled In Da Club Like This. This remix takes on a more R&B type sound, retains all of it's club energy and adds on a couple of new voices... Tupac Shakur and Fat Man Scoop. The remix is a bit more upbeat, making it very friendly to the dance floor and since it has that R&B flavor to it, it is also very popular with the ladies. Included in the remix package are 4 mp3's... 2 extended untagged versions for the DJ's and 2 regular versions. Each type has both a clean & explicit mix. In Da Club Like This can be streamed directly to your computer at djdiamonddog.com or you can download the full remix package for free right here.